Sebastien Leger, Heartik, Digital Toys, Deorro, Steve Forest & Diskoboys, Tony Romera and more. 2013 was a great year for the different house sub-genres. 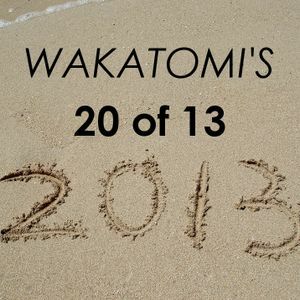 Wakatomi presents his 20 most significant progressive, tech and electro house tracks that capture the spirit of 2013, without focusing too much on the Tsunami&apos;s and Animals&apos; that have dominated the charts and festivals. PS: Both MORE tracks are counted as one.